A new four-star business-class spa and conference hotel, the Metropol Spa Hotel, opened its doors on July 15. Located right next to the three-star Metropol in the Rotermann Quarter, it has 137 modern and spacious rooms with a Scandinavian design and features an a la carte restaurant with 130 seats, an urban vintage restaurant with 160 seats. 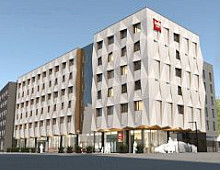 The new economy Hotel Ibis Vilnius Centre is scheduled to open in September, with 164 guest rooms, a restaurant with 90 seats, a bar and two conference rooms. 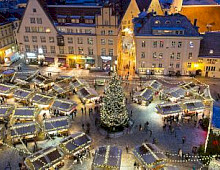 The hotel is located in the centre of the city, within five minutes’ walk of the historic Old Town and the most famous places of interest such as Gediminas Castle and Cathedral Square. Exceptionally sunny and warm weather combined with the plunge of the Swedish krona against major currencies is a beneficial combination for Swedish tourism. The hotel sector is growing constantly and new projects are being developed every year. Scandic is the biggest hotel operator in the Nordic region with a 16% market share, followed by Nordic Choice and Rezidor. Via Hansa & Borealis recently purchased a new and larger office in Moscow and has already moved into the new premises at the Polyanka Business Center. The Polyanka Business Center is one of many new modern business centres that have opened up in the Russian capital over the last decade.